As General Motors shuts down its Holden manufacturing in Australia this year, we’re all supposed to mourn what had been the new frontier of ute-loving, V8 freedom. But the shutdown was a bureaucratic decision; a slow bleed to avoid the prospect of a much more painful collapse. 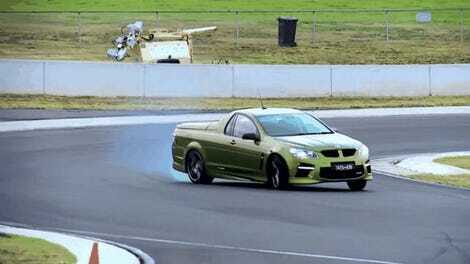 The last Holden Commodore ever, like everything else from Australia, is seemingly out to kill you. “Making things is officially over. [Australia] is now a country whose economy is about doing things and helping people,” argued Jason Murphy, an Australian economics commentator. In Australia, phasing out the auto-manufacturing sector has been an active choice. Australia was one of just 13 countries in the world capable of building a car from scratch—at its peak, Australia produced almost half a million cars in 1974, but output never recovered to those levels. The political approach of slowly bleeding out the industry sounds insane, but by slowly killing off government help, the country managed to avoid the massive bailout decision the U.S. government faced back in 2008 (of which GM was included), and has saved its taxpayers billions of dollars in subsidies. Who knows what the alternate approach of fighting to keep Australian manufacturing competitive would have resulted in. Instead, the government opened its economy and drastically reduced or cut trade tariffs, driving down market prices for consumers and shifting its economic landscape from manufacturing to service industries. But that doesn’t mean foreign automakers didn’t also take a hit; Toyota was once Australia’s biggest auto manufacturer, but was forced to shut down production in the country after the government announced subsidies were to be completely pulled in 2014. 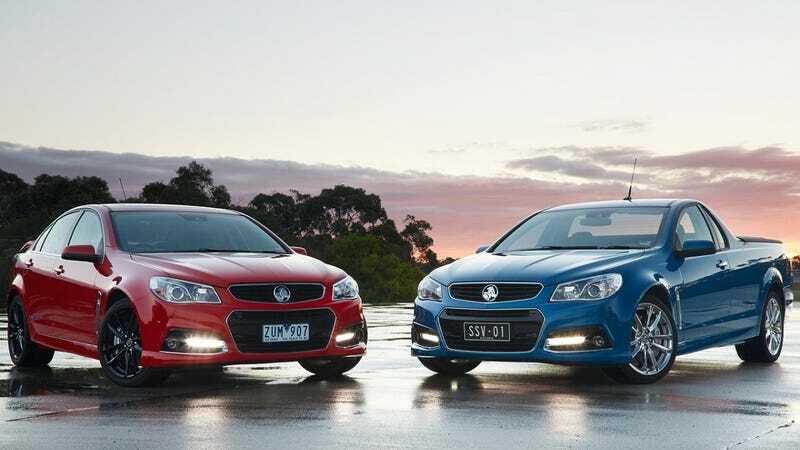 Holden will now be reduced to a badge slapped on a German-manufactured car, forced to compete in an Australian market full of foreign competition that it once dominated. But as Australia’s economy shifted, no amount of horsepower could have outrun its government’s cannibalization of the manufacturing industry and the attractively cheap competition. Was it a wise decision for the government to slowly kill off its auto industry? The average Australian consumer may think so. Let’s just hope we will always have ute burnouts.